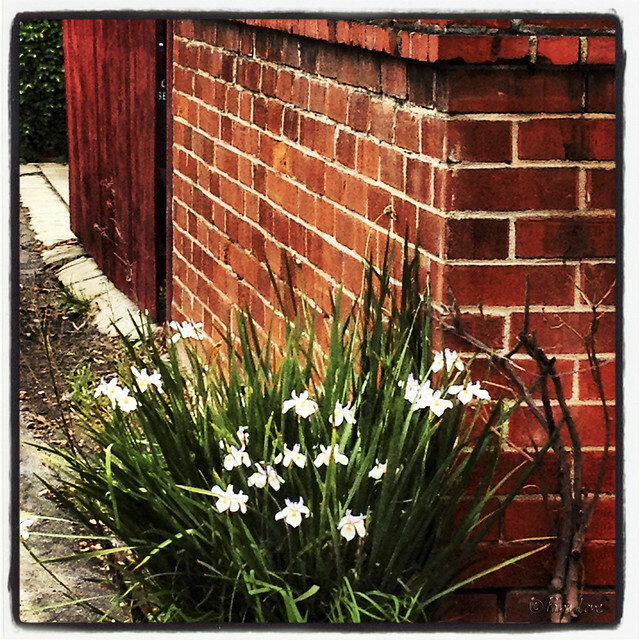 For the last couple of weeks, when I leave for work, I've admired this clump of flowers in the alley. Today I decided not to pass them again without taking a picture. So, in the cold and wind (no rain yet), I stopped to admire and capture scene. So, since the carnival that I was going to show you tonight got rained out, I'll share this little patch of beauty with you.